One of the most fascinating situations in the Bible is never described. It happens during the latter years of David’s reign, say from 2 Samuel chapter 7 and onward. Years before, David had finished conquering all of his enemies, and his people had rested from war. David had finished building his palace, and all this happened before he discovered Bathsheba’s midnight rooftop bathing habits. David himself is experiencing something of a personal revival, and he has just brought the ark of the Lord into the city (from Obed-Edom’s house in the suburbs). This season of history fascinates me intensely, and I believe that it’s a metaphor for where the church is today. In that day, the Tabernacle of Moses (also known as the Tabernacle of Meeting) was installed on the hill of Shiloh a good day’s walk from Jerusalem. It encompassed a whole campus of highly ornate tents covering several acres. It was the only place where the entire nation would go to worship, and they went there by the thousands. The Levites and Priests taught the Law, the sacrifices were offered there: sin offerings, thanksgiving offerings and all the rest. Offerings and sacrifices were received from the people in the form of gold, silver and animal sacrifices. The Tabernacle was a big spectacle: there were gold and silver and bronze and embroidery and bright colors everywhere. Shiloh had become a noisy place. The crowds of people brought their own noises, and everywhere was the noise of the sheep and birds and oxen that were brought for sacrifice, interrupted by the businessmen selling more animals for sacrifice. Over all that was the music. Ah, the music! Choirs, trumpets, harps. The air was filled with fragrances. The animals brought their own odors of course, but the sacrifices and offerings filled the air with the smell of barbecue. And when they lit the incense, the smell of spices filled the air. Services for thousands of people were led by priests decked out with linen and jewels and fancy robes and sometimes fancy hats. It seemed that the more important you were – and all the leaders were important – then the fancier your vestments were. The entire nation was commanded by law to come together for a national party three times every year, and when it happened, the crowds swelled from the hundreds or the thousands to the hundreds of thousands. Every hotel room was booked solid for weeks, every restaurateur made a healthy profit when the festivals came to town. Imagine an NFL football arena ten miles outside your hometown, and then imagine that it was a legal requirement that the entire nation attend regularly. Now imagine that your team is in the Superbowl in that arena three times a year, and that Disney and MTV co-sponsor the halftime show. The cheerleaders, the news media, the coaches and officials: what an amazing spectacle! The people didn’t gather for worship at the Tabernacle of Meeting in rebellion or selfishness; their goal was not spectacle. They were in fact obeying the commands of the Lord, commands about when to worship, how to sacrifice and what to teach. The leaders were installed by the command of God, for all that the hands that anointed them were the hands of men. This worship service was established by God, and it was perpetuated at His command by His blessing. They were obeying the freshest revelation that they had. They only lacked one thing: God’s presence, the Ark of the Covenant, was no longer there. Other than that, they pretty much had everything going for them. The Ark itself had been moved into the city of Jerusalem, and it was now residing in a pup tent in David’s back bedroom. For the next several years, until Solomon took it back to the Tabernacle of Meeting in Shiloh, David and his household worshipped in that spare bedroom. David re-assigned some of the Levites from the Tabernacle of Meeting to his own back bedroom, to the new tabernacle there. That little tent would soon be known as David’s Tabernacle, and nobody really knows exactly what it looked like. It might have been set up in a private garden rather than the back bedroom, and we’re only assuming that there was a pup tent over the ark, simply because “tabernacle” comes from “tent” in their language. Knowing how David delighted in honoring God, it was probably a very nice pup tent. And if David danced foolishly (and half naked) during the public journey of God’s presence to his back bedroom, then how must he have worshipped in that back bedroom? I’m guessing that “with abandon” applies. The significant point was that the Ark – and therefore God’s presence – was no longer hidden behind layers of ceremony and religious bureaucracy. Suddenly, for the first time since the Burning Bush, God was immediately accessible to His people. Based on how much the Bible describes David, I imagine that the king spent a fair bit of his time in that back bedroom worshipping. Because the head of the household was a worshipper, some of his household learned to worship: I can see the head butler and the assistant cook waiting until David was through, so they could get into that bedroom to get their turn on their faces or dancing in the presence of God. 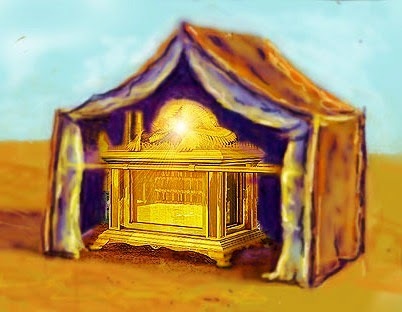 The remarkable thing was that Heaven knew of David’s Tabernacle. I suspect the place was as popular in Heaven as it was on earth: finally, there was a place where God and man could come together, finally there was a man who was passionate about God’s presence. Generations later, when David’s Tabernacle was broken and abandoned, God promised to restore it. God doesn’t often promise to restore the things that man makes. In Acts 15, Peter reminds the people of God’s promise in Amos to restore the tabernacle, David’s tabernacle. We live in a day like the day that David built his tabernacle. The Bible describes our day as “the last days” (heck, everything since Acts 2 seems to be part of “the last days”) which is the time for David’s Tabernacle to be restored. And we’re seeing that happen. We live in a day where there are large and prestigious and prosperous gathering places on the hilltops, in the public places. They’re in the media and in the eyes of the nation, and the people go there by the thousands to perform the rituals and offer the sacrifices and be trained by the religious authorities of the nation. They have the professional musicians, the professional speakers, the professional media technicians. The ceremonies are moving and the messages are relevant and uplifting. Thousands come to a faith in Christ through these tabernacles. They are obeying the freshest revelation they have. I am not opposed to mega churches, or to Sunday-morning gatherings in general; I repeat: I’m part of one, and I like it. These are not “ungodly abominations;” they are not sacrilegious and they are not (by and large) the work of the flesh, that is, they are not monuments to self or pleasure or our own righteousness. But they’re not following the presence of God (I remind you: there are exceptions to everything I write in this blog!). The big deal is that this demonstrates God’s heart! God, it appears, prefers passion to legalism, intimate worship to religious conformity. This isn’t about location. I’m not lobbying for Believers to escape from their churches and limit their worship of God in their back bedroom. Location means pretty much nothing in this context. What I’m saying is that going to church is not the thing that God respects. I’m lobbying for Believers to worship God passionately, intimately. I don’t really care if you and I worship God in the big gathering or the little one, as long as we passionately worship. The goal is getting crazy for God’s presence. The goal is worshipping with abandon, holding nothing back. The goal is letting nothing and nobody get in the way of our worship, whether circumstances, other worshippers or church leaders. The reality, however, is that that we often can’t worship that way in our Sunday morning gatherings. When we’re there, we often (and often appropriately) need to conform to cultural standards of the place. If we were to dance in church like David danced, many church congregations would freak out. Everyone else in the building would focus on us, not on God, and that’s not as it should be. But we must worship. We must worship in abandon. We must be passionate. 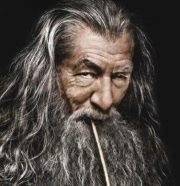 We must find a time and a place we can be foolish with. We must find a people we can worship among, who won’t be distracted by our passion, because they’re lost in their own. Also, I really like your piece on the Tabernacles, it is very good. This is SO where we are at right now in our local fellowship -- abandonment to the Presence. I have been feeling this way for a long time now. Worship is NOT a spectators sport, but it is focusing our attention on the one who Deserves it All. I feel that a worship leader should lead till the Holy Spirit says it is time to move on in the service, and I believe a pastor should preach till the Spirit says it is now time to quit. Truly Spirit lead gatherings is what will change not only the "church" but the World.